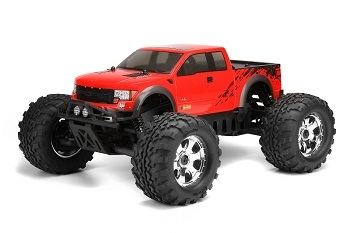 Outfit the awesome Ford F-150 SVT Raptor on your Savage monster truck! With the iconic ‘FORD’ name across the updated front grill, extra-wide track, triple-bypass shocks, huge 6.2-liter V8 engine, custom graphics and many more unique features, the Ford F-150 SVT Raptor has taken the off-road community by storm, and now it’s ready to rip your favorite bashing spot to shreds! This body is molded from super-tough, extra-thick, clear polycarbonate plastic for toughness and resilience in the roughest of conditions. All HPI bodies feature clear overspray film to keep paint and marks off the outside of the body, molded markings for easy body post drilling, pre cut vinyl window masks, true-to-life decals and a full set of official HPI logos! Photorealistic, premium vinyl decals include window frames, headlights, grille, tail lights, roll bars, official logos and more – for a perfect finish with a lot of details clear overspray film and pre-cut vinyl window masks make painting fast and simple high quality polycarbonate with excellent impact resistance – for extra strength and long life. Body post drill marks clearly show where to make body post holes. Fits Savage Nitro or FLUX trucks with standard wheelbase. The full-size Ford Focus RS is a true powerhouse: packing over 300hp into a front-wheel drive chassis, the RS is even more powerful than the highly feared Focus ST! 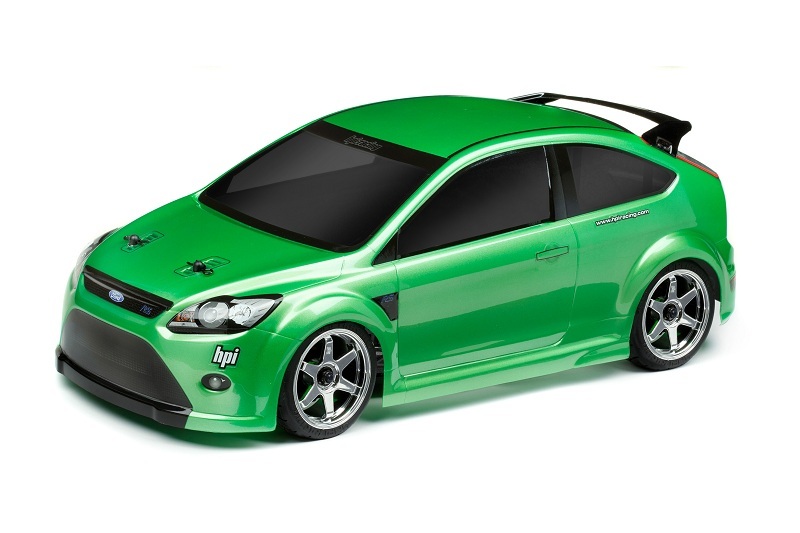 Our 1/10 scale version shows off the aggressive styling that tells hot hatch owners to watch out, including the front splitter, side skirts and more of what really sets the RS version apart from a normal family Focus. This body is molded from super-tough, extra-thick, clear polycarbonate plastic for toughness and resilience in the roughest of conditions. All HPI bodies feature clear overspray film to keep paint and marks off the outside of the body, molded markings for easy body post drilling, pre-cut vinyl window masks, true-to-life decals and a full set of official HPI logos! Photorealistic, premium vinyl decals include window frames, headlights, grill, tail lights, roll bars, official logos and more – for a perfect finish with a lot of details. Clear overspray film and pre-cut vinyl window masks make painting fast and simple. High quality polycarbonate with excellent impact resistance – for extra strength and long life. Body post drill marks clearly show where to make body post holes. 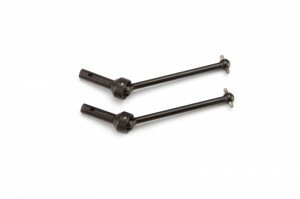 Fits any 1/10 scale touring car, 190mm wide chassis will need offset wheels. The FLUX Rage is a tough 1/8th scale BRUSHLESS ESC that’s designed to take the rigors of rallycross buggy and truggy racing and bashing. Run this speedo to its limits and it just keeps coming back for more! Have a blast with the normal forward/reverse/brake mode or switch it into race mode for maximum power – you can even use this in powerful crawling machines with the forward/reverse only mode for no braking action! Fully programmable ABS, drag brake, braking force, reverse force, motor timing and punch allows you to totally customize the feel of the Rage to your driving style and needs. You can even use the HPI #101280 programmer to make the adjustments even easier. Protect the radio receiver in your Mini-Trophy or Desert Trophy truck from water, snow and mud with this excellent Waterproof Receiver Box! 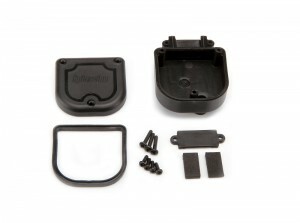 receiver box, rubber gasket and more. Keep your electronics dry and safe with the HPI Waterproof Receiver Box! 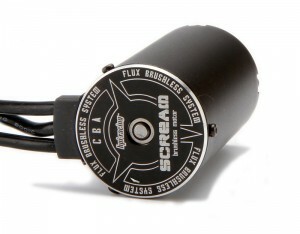 The fantastic FLUX Reload speed controller is now waterproof and more powerful. If you’re looking for a electronic speed control that is totally waterproof and protected from the elements as well as being fully programmable and suitable for 3S LiPo power, look no further than the FLUX Reload V2 BRUSHLESS ESC! This speedo has everything you could want for fun running, bashing, and track use! Combine with the #1012789 FLUX Shot BRUSHLESS Motor for a major boost to any standard brushed motor RTR kit! Continuous Current – 60A – V1 was only 35A! 3S Capability – V1 was only 2S! Three Running modes – Racing (brake only), Reverse and Rock Crawler. Low voltage cut off protection for LiPo or NiMH/NiCd battery. 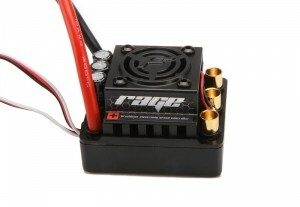 Overheat protection for the ESC, Throttle signal loss protection and motor blocked protection. More efficiency means more speed and extra-long runtime, and that’s what you get with the Center Universal Drive Shaft Set for the Savage XS! This set of universal driveshafts will also make maintenance easier and increase the overall durability of your Savage XS! Maximize your fun with a wheelie bar set designed specifically for the Savage XS! 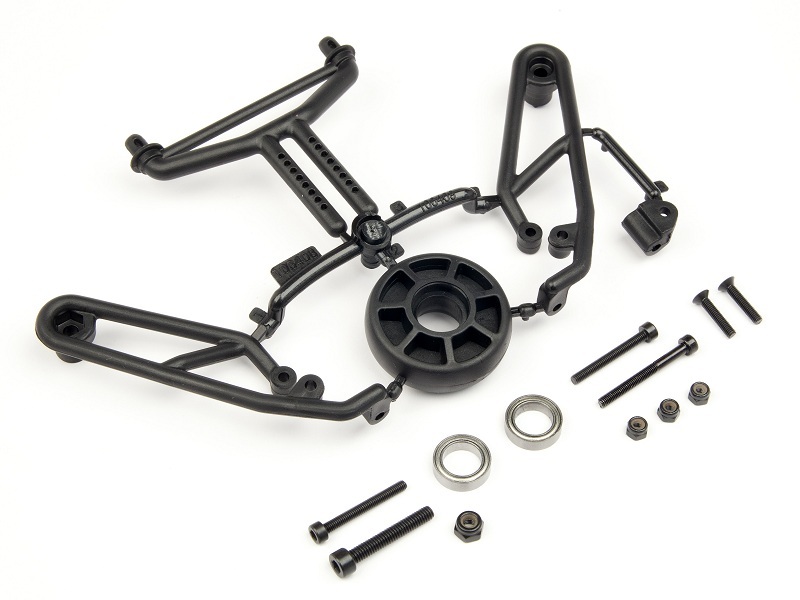 This set includes everything you need to assemble and install a unique wheelie bar on the rear of your Savage XS for maximum wheelie-popping fun and laughs! 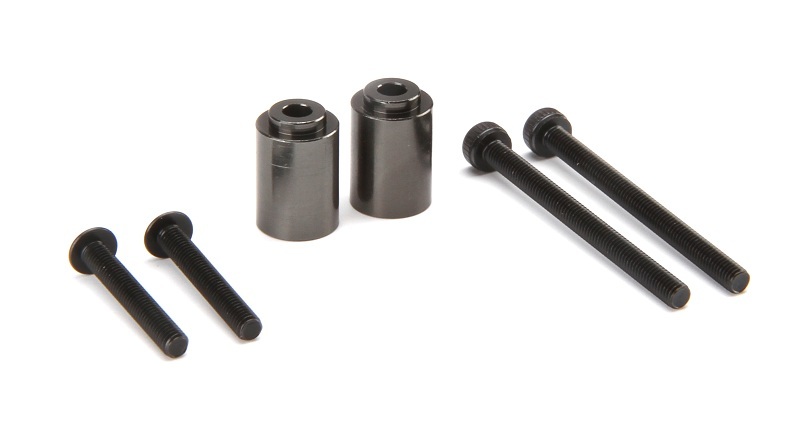 Use this convenient Battery Spacer Set in your Blitz short course truck to fit the larger 3S, 11.1 volt battery packs for extra power and maximum top speed! This set includes spacers and extra-long hardware to fit most hard-case 3S LiPo batteries in any HPI Blitz truck. 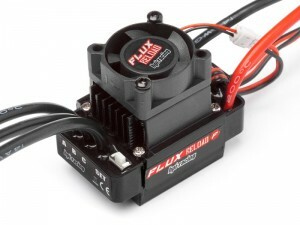 Max out the potential of your racing machine with the HB HPI FLUX PRO BRUSHLESS full line of racing motors! Available in a full range of winds suitable for all types of cars, buggies, trucks and more, the Flux PRO motors are your ticket to the winner’s circle! 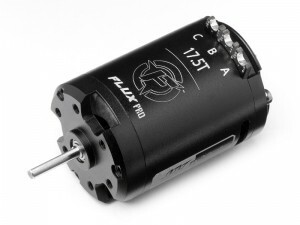 These sensored motors feature adjustable timing to provide the fine touch that pro-level racers need, and the covered outer bearing and machined aluminium case give you durability and peace of mind when you’re out on the track, fighting for the lead. Powerful neodymium magnets work with the sintered 12.5mm rotor to give racers powerful acceleration and plenty of torque to suit a wide range of driving styles and car types, and optional rotors are available to fine-tune the power band of the motor for your specific needs. hey i was just wondering when the new gasoline engine,and gasoline truck lineup comes out? you guys say on your website that its out in march. i’ve been waiting all march for this release, and alot of your customers were too. anyway i plan on purchasing your new gasoline powered savage when it comes out. thanks. I haven’t heard of a release date yet either. There appears to be some delays in releasing this now.